Do You Remember the Pony Tail? 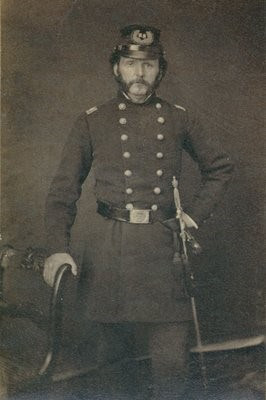 Before Dr. Robert Ritchie McMeens enlisted for military service in 1861 as a surgeon in the Third Ohio Infantry during the Civil War, he was in private practice as a physician in Sandusky, Ohio for over ten years. 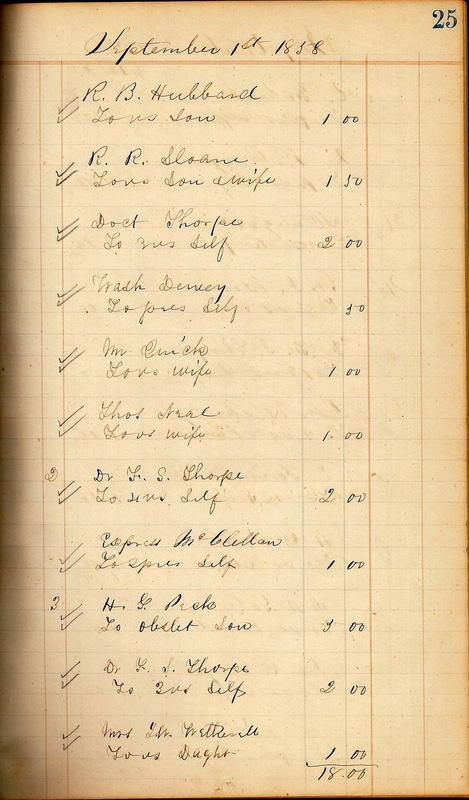 The account book of Dr. McMeens, which covers the period from July 18, 1858 to April 25, 1861, is now in the historical files of the Sandusky Library Archives Research Center. 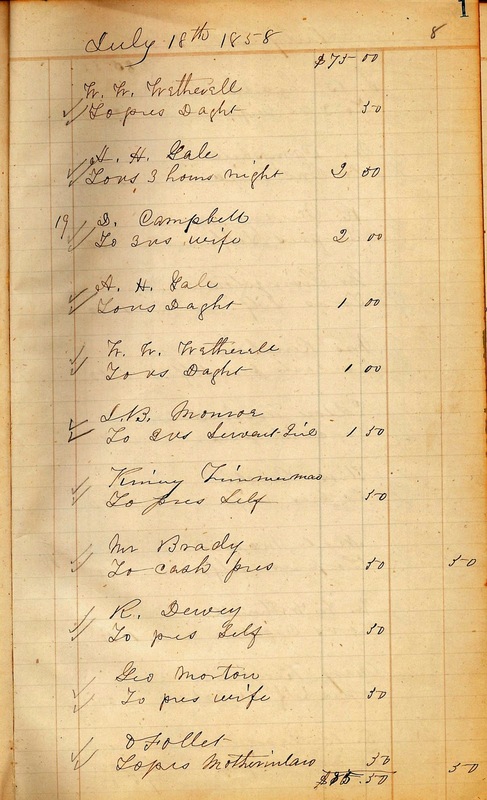 At the bottom of page 1 in the account book is a listing for O. Follett, most likely publisher Oran Follett, who saw Dr. McMeens in July of 1858. 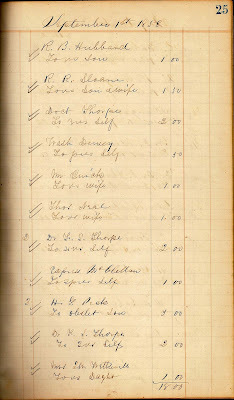 Mr. Follett’s bill was thirty cents. 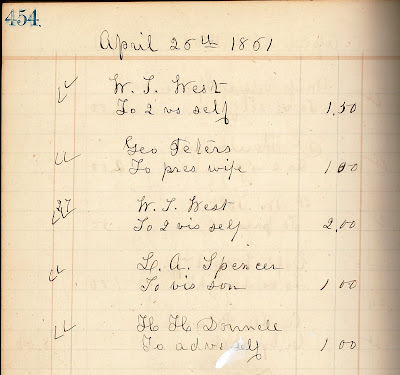 Someone from the Rush Sloane family saw Dr. McMeens in September of 1858. The bill was $1.50. It appears that the patients may have been Mr. Sloane’s son and wife. 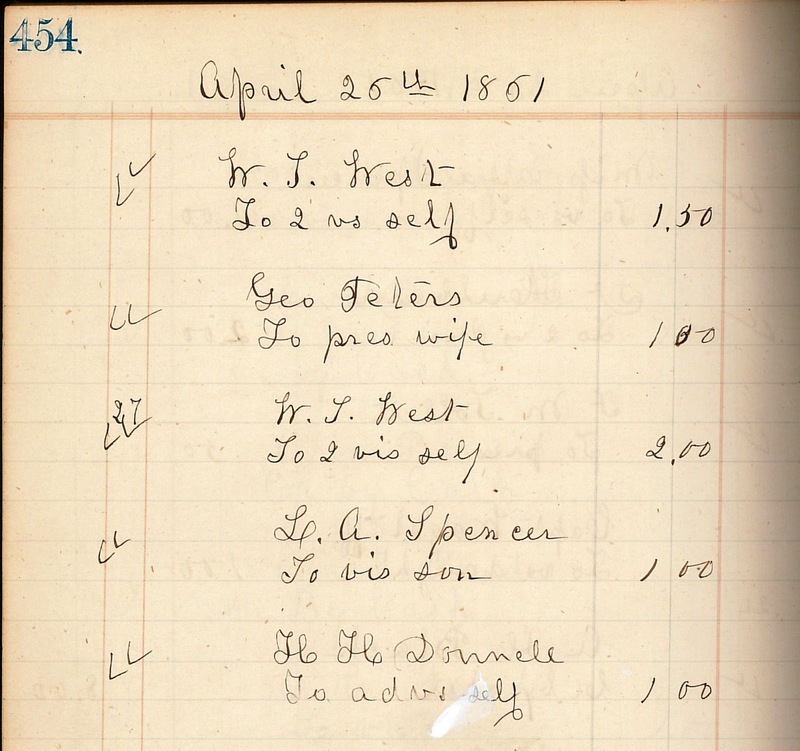 Page 454 is the last page of the account book, dated April 25, 1861. 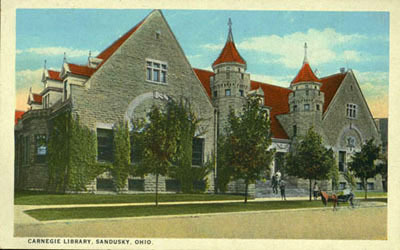 The name of prominent Sandusky businessman W.T. 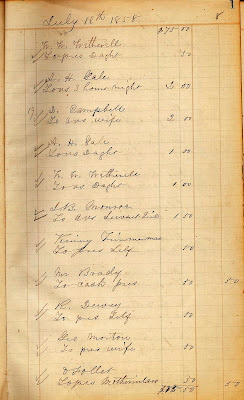 West appears twice on this page. His fees were $1.50 and $2.00. SIR:—It is with feelings of the deepest regret that I have to announce the death of Surgeon R. R. McMeens of the Third Reg., Ohio Vol. Army, which occurred suddenly at Perryville, Ky., on the night of the 30th inst. Surgeon McMeens was among the first to offer his services to his country after the breaking out of the rebellion. Entering the three months service as a regimental surgeon, he was immediately after ordered to Camp Dennison, where his gentlemanly deportment and great professional skill soon won for him the esteem and confidence of his brother officers, at whose request he was appointed Medical Director of the post; all the arduous duties of which office he performed in such a manner as to win for him the warmest commendations of the Surgeon General of the State. From that time until the period of his death, he has continued in active service, filling many important positions in the medical department of the army. Shortly before the battle of Perryville, he was appointed Medical Director to the troops under the command of the lamented Jackson, and after having participated actively in the battle, was detailed to assist in taking care of the wounded at Perryville, in which position his kindness of heart, sound judgment, and great professional skill, enabled him to contribute very largely toward the relief of our suffering soldiers. He has fallen while nobly working at his post; although suffering greatly from disease, he refused to abandon his work, and performed several important surgical operations only a few hours before his death. In his death the army has lost a kind-hearted, faithful and efficient officer; the country a pure patriot, and the medical profession one of its brightest ornaments. I am, sir, respectfully, your obedient servant, GEORGE G. SHUMARD, M. D., Medical Director Danville District.